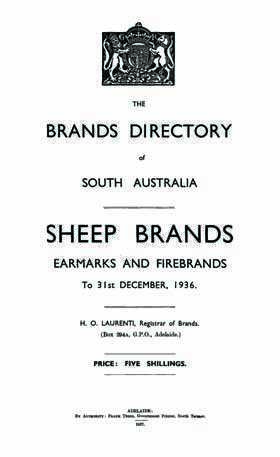 If your ancestors in South Australia owned sheep then consider searching the Brands Directories for more information. These are a unique, useful source for family historians. Local historians will also find them a great resource, with the ability to easily reconstruct lists of stock owners in their region. A sheep brand is a unique symbol or combination of symbols and/or letters to identify who the animal/s belonged to.